If you’re looking for a quiet destination to really get away from it all, then you won’t do much better than sleepy little Laos. While the rest of Asia gallops headlong into the future, Laos remains pleasantly quiet and disinterested in change. 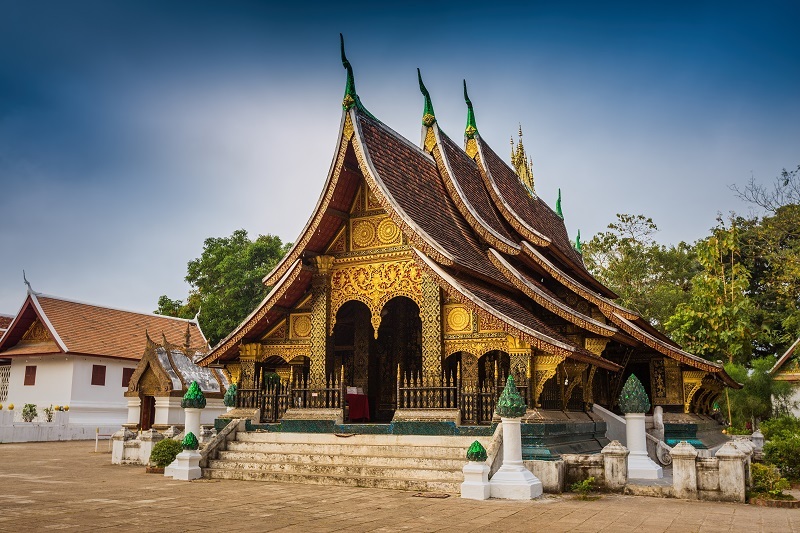 Visitors to Laos will be struck by just how untouched this country is as they stroll amongst rustic French colonial buildings, rubbing elbows with the local people and monks going about their day. 6 Jan 2019 6 Jan 2019 Bun Pha Wet Entire Laos Falling on different dates - people exchange invitations with friends and families in different villages to join in their celebrations - this festival is a commemoration of the Jataka, the life story of Lord Buddha as Prince Vestsantara. The story is recited in temples throughout the country and this is considered a particularly auspicious time for ordination as a monk. 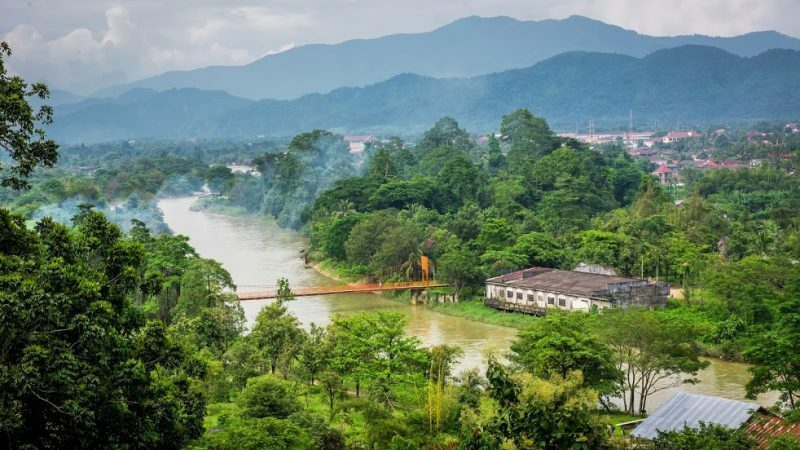 13 Apr 2019 15 Apr 2019 April Boun Pimai Luang Prabang Lasting several days in mid-April, this is the celebration of the Laos New Year and is a combination of merriment and meditation. Similar to festivals at this time of year in other Southeast Asian countries - particularly Thailand - Boun Pimai is celebrated with parades, dancing, singing and enthusiastic water throwing. The religious aspects of the festival are most apparent in Luang Prabang, where Buddha images are worshiped with water pouring ceremonies. Temple compounds are further decorated with small sand Stupas, offered as merit towards good fortune and health. 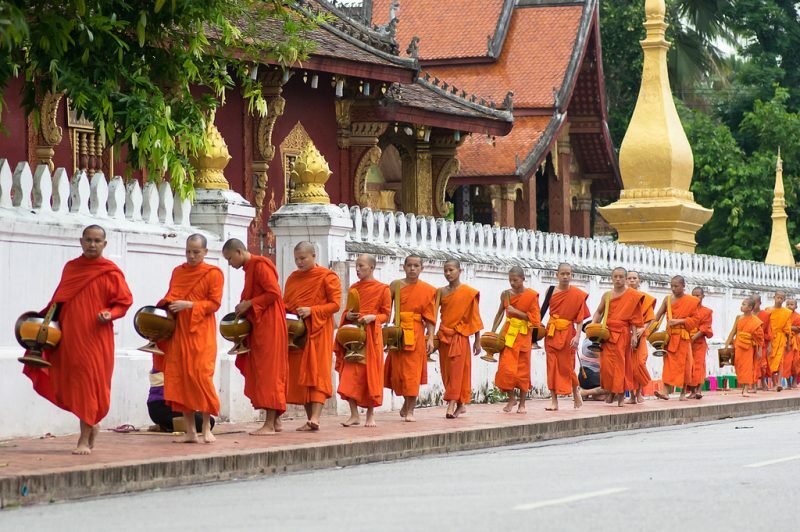 1 May 2019 1 May 2019 Visakha Puja Chanting Entire Laos Public holiday Visakha Puja Chanting, religious instruction, and candlelit processions highlight this temple festival in celebration of the birth, enlightenment and death of the Lord Buddha. Boun Bang Fai (Rocket Festival) With its origins in pre-Buddhist rain-invoking ceremonies, this festival now coincides with the Laos Visakha Puja celebrations. Parades, songs, dances and partying all lead to an explosive climax as huge, ornate, homemade bamboo rockets are blessed and fired into the skies to invite the rains. Rocket-makers earn both merit and honour if their creations fly high. This dramatic festival is also celebrated in Northeast Thailand. 1 Jun 2019 1 Jun 2019 Khao Phansaa (Children's day) Entire Laos Marking the beginning of the three-month Buddhist Lent, which commences at the full moon in July and continues until the full moon in October, this is considered a particularly auspicious time for Lao men to enter the monkhood and is marked by numerous ordination ceremonies. 13 Aug 2019 13 Aug 2019 Haw Khao Padap Din Entire Laos Devoted to remembering and paying respect to the dead, it is marked by the macabre ceremony of exhuming previously buried bodies, cleaning the remains, and then cremating them on the night of the full moon. Relatives then present gifts to the monks who have chanted on behalf of those who have passed away. 5 Oct 2019 5 Oct 2019 Awk Phansaa Entire Laos Marking the end of the three-month Buddhist Lent on the day of the full moon. Monks are at last permitted to leave the temple and are presented with gifts. One particularly beautiful aspect is Lai Hua Fai. On the eve of Awk Phansaa people gather at the nearest body of water to release dozens of small banana-leaf boats decorated with candles, incense and small flowers, in a celebration similar to Thailand's Loy Krathong Festival. 4 Nov 2019 11 Nov 2019 Boun That Luang Though Entire Laos celebrated at many temples around the country, this festival is traditionally centred at That Luang in Vientiane. Fairs, beauty contests, music and fireworks take place throughout the week of the full moon, and end with a candlelight procession (wien thien) around the temple of That Luang. 2 Dec 2019 2 Dec 2019 Lao National Day Entire Laos Streets strewn with national flags and banners, processions, parades, and speeches are the highlights of this celebration for the victory of the proletariat in 1975.